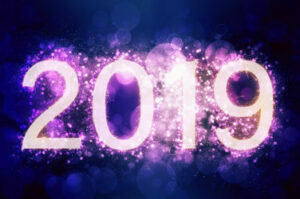 Why not get your year off to a good start in 2019 with an evening course? Evening classes can improve your lifestyle, boost your career, or help in discovering a new hobby. Part time courses can brighten up the winter months and get the new year off to a positive start. The main motivation for engaging in evening courses are personal interest, enhancement of job prospects and gaining qualifications. Trying something new is not only affordable but is easily accessible through a broad spectrum of educational establishments who all offer evening course programmes beginning in January and February. Prospective evening course students will find that almost any subject is taught in evening courses, although continuing education subjects such as information technology and business administration are prevalent and popular. For every student there is a course to suit and often there are some intriguing and unusual subjects as well as more conventional hobby classes. Some evening courses form part of a degree program, while other non-credit courses, allow students to learn new skills and brush up on old ones. Evening courses are mostly held on weeknights, although some courses operate at week ends as well. While some participants have high expectations of professional training, meeting like minded people and gaining qualifications, other participants are happy to explore topics at beginner level. Learning is stimulating for everyone and evening courses provide a great way for those who have been out of education for a while or who missed out on formal education to learn to study again in a relaxed setting. Those who are opting for more serious courses will find the tuition professional and the outcome every bit as successful as if studying on a full time course. Each region in Ireland has an Education and Training Board (ETB) where the objective is to deliver community orientated education and evening courses are a large part of this brief. More information about your local ETB can be found at www.etbi.ie. Many second and third level colleges offer evening courses in a range of subjects including languages, domestic arts, crafts, yoga and a range of business and administration courses. Contact your local college to see if they run evening courses this Spring. Private colleges offer a vast array of evening course choices including MBA courses and post graduate offerings as well as other career enhancing courses across the whole range of career options. Courses of this type are ideal for those seeking to gain further qualifications and enhance job opportunities. Third level colleges also offer similar courses and will have similar admission policies to their day time courses. Most evening courses are short term (usually 8 to 12 weeks) and the cost is based on the subject and the materials required for the course. They can cost as little as 80 euro for a hobby class and in general are cheaper than day time courses which are more focused on accreditation. However even accredited courses can be cheaper when studied by evening, for example, an MBA course is likely to be up to 50% cheaper by opting for an evening part time option. CMI (Communications and Management Institute) in Dublin, offers evening courses in everything from Fashion Buying and Merchandising to a Diploma in Criminal Forensic Psychology. There are also courses in Management and Team Leadership, as well as a Diploma in Addiction Studies. Pitman Training offers a large variety of job specific courses, such as a Business Management Diploma , a Medical Audio Typing course and an IT Office Administrator Diploma. Pitman Training have trainings located all over the country in: Carlow, Maynooth, Cork, Dublin, Dundalk, Galway, Limerick, Mullingar, Naas, Sligo, Tralee, Wexford and Waterford. Malahide Community School in Dublin, offers part-time evening courses in subjects including French and computers as well as yoga and ballroom dancing. The classes run on Monday, Tuesday and Thursday nights from 7.30pm- 9.30pm. The Sandford Language Institute in South County Dublin offers language courses for all levels. Dutch, Chinese, Arabic, Russian and Italian are just some of the languages available to study in the institute. NUI Galway offers a range of certified part-time courses, including the evening certificate course in TEFL (Teaching English as a Foreign Language). Classes are held on Tuesday and Wednesday evenings from 7pm-10pm and coursework includes fifty hours of supervised teaching practice. 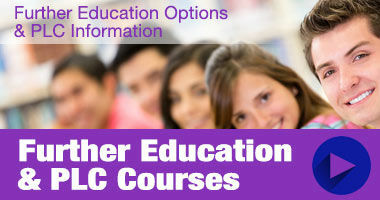 Dunboyne College of Further Education in Meath offer a large selection of adult education evening classes. These include hobby courses, Fitness & Health, IT & Computers, professional courses as well as a range of talks & seminars. Dorset College in Dublin, offers a selection of courses including an ACCA Diploma in Accounting and Business, a CIPD Certificate in Human Resource Management and level 6 course in Leadership (Supervisory Management and Leadership). Some colleges have enrolment evenings for the courses which are a great way to see what is on offer and resolve any questions before signing up. Other courses accept online enrolment. Once enrolment is complete, attendance begins on the course start date. So many people have experienced improvements in their personal and professional lives through evening courses, sometimes leading to new adventures and careers. It is never too late to learn something new.